How accurate the workers perform to connect the joints will directly influence the flatness of the road, said city's traffic authority. Expansion joints linking two pavements of road on the elevated road of S26 expressway. A construction skill contest was carried out on July 24 on an elevated road leading to S26 expressway in north Shanghai. Workers were mobilized to perform their best in assembling expansion joints which connect different pavements as a whole asphalt road. 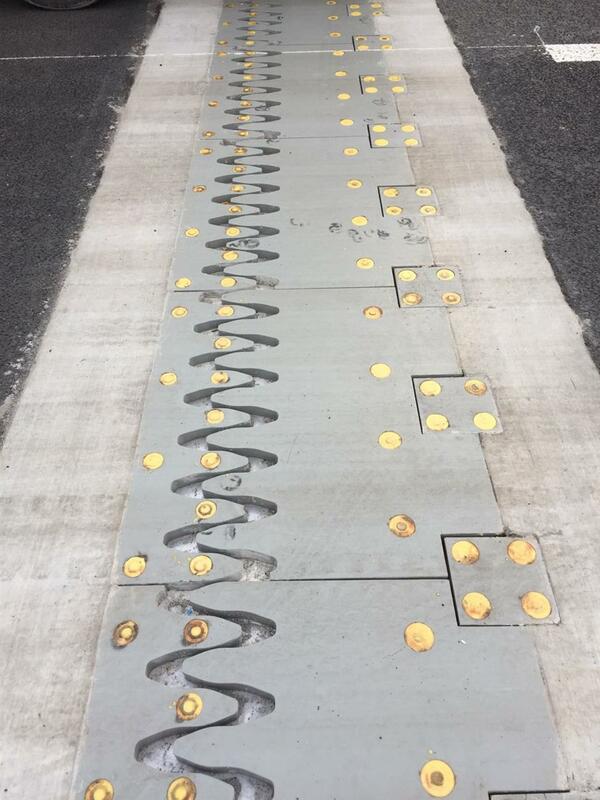 How accurate the workers perform to connect the joints will directly influence the flatness of the road, said the city’s traffic authority. There are 240 joints to be done on the 7.8-kilometer road. Compared with the traditional technique, the workers used a steel boards model which has better impact-fatigue resistance and noise reduction. According to SMI groups, the contractor of the S26 expressway construction, the goal of the contest is to motivate the workers to do better and improve their skills by competing with each other. The construction of the elevated road of S26 expressway is expected to finish in September. It will ease the traffic pressure around the National Exhibition and Convention Center where China International Import Expo will take place in November.